I just read an interesting article this morning: ‘Doctor Claims That Dogs Understand What Humans Say To Them’. Give it a read. Very interesting indeed. Not only do dogs understand what we say to them, but they are very trainable. 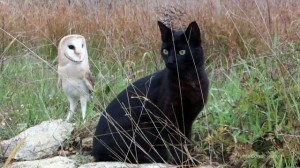 We’ve all seen animals on television that do amazingly detailed things that their owners have trained them to do. 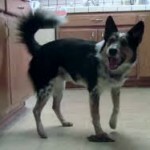 We’ve trained our dog Lassie to do a few simple things like sit, shake, lay down, turn around, roll over, and stay. We have a friend who trained his dog to go to the refrigerator (and open the fridge), pull out specific items like ketchup for example and bring it to the table! Happy 4th of July everyone! 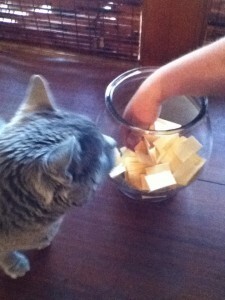 We have done the drawing and have the winners of our T’s Pet Sitting Giveaway. Congratulations to our winners! Thanks for everyone who participated. Marnie is particularly entertaining in this video! He’s a beautiful Blue Indian Ringneck Parrot. It’s amazing how birds can talk! I love how sweet he is giving a kiss! 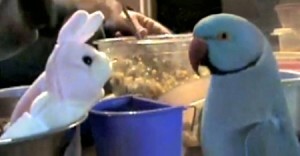 I’ve had the pleasure of taking care of several birds, but have yet to hear one talk. I’m glad they took the time to videotape this so we could all enjoy Marnie’s personality and antics. I hope you enjoy it as much as I did! If you want to read more about Marnie click here. 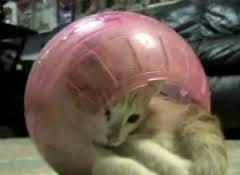 This crazy kitten is having a ball! I just love how entertaining our cats can be. They know how to take an ordinary thing, a plastic ball, paper sack, a ribbon and turn it into the best toy ever! No need to buy an expensive cat toy – give them a string and they will be entertained and entertain YOU for quite a while! They can be just as good at giving comfort when you’re not feeling well, or sad. The love of a pet is often the best medicine. Give your pet a hug today – they will return it a hundred times over!! T’s Pet Sitting is holding a Giveaway to thank our family, friends, and clients and to celebrate the launch of our new website! 1st Prize: $ 60.00 Spezia Restaurant Gift Card. The Spezia gift card can be redeemed at any of these locations. 2nd Prize: $25.00 Crane Coffee Gift Card. The Crane gift card can be redeemed at any of these Omaha locations. Drawings will be held on July 4, 2014. We will videotape the drawings and post it the same day! Anyone can enter one time only. 1. Go to the ‘Contact Us’ on the right side of any page on the T’s Pet Sitting Website. This is the only way to be eligible for a prize. 2. Enter your name, phone number and email address (we won’t contact you unless you win any of the prizes). 3. Click the ‘Choose Service’ dropdown box and select ‘Giveaway’. Please note: On some web browsers you need to enter a Start Date and Return Date (just put in today’s date). Good luck and thanks for being part of our Giveaway! 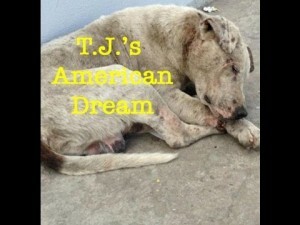 T.J.’s American Dream is the story of one dog’s dream of love and hope. See the transformation from disease and despair to one of healing and exuberance. T.J. was living on the streets of Tijuana, Mexico in horrific conditions. J.J. Woofin’ Paws Rescue Agency rescued him in March 2013. After treating his broken leg, mange and canine venereal tumors via chemotheraphy, TJ transformed into the happy, loving and healthy dog that was hidden underneath all his suffering. TJ was adopted by a loving family in February 2014! He now knows what being truly loved is! 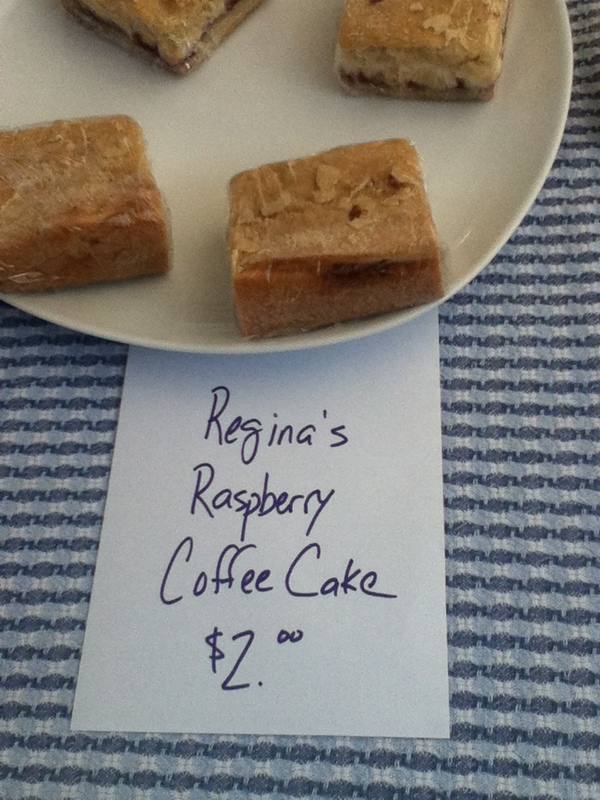 If you’re hungry for some really, really good baking, look no further than The Haymarket Cookie Lady! T’s Pet Sitting (my husband and I) took a trip to Lincoln today to visit our friends. Baked with love, skill and the best ingredients her cookies, cakes, baklava, brownies – EVERYTHING tastes better than anything else! My husband, Bill, LOVES the brownies. We shared an Oatmeal Raisin cookie that put to shame any other that we’ve ever had before. Add to that she and her husband are the nicest people you’ll ever meet! 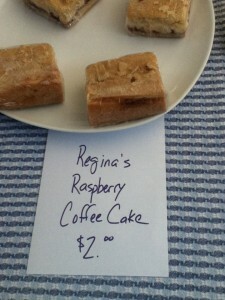 It is well worth the drive to Lincoln on Saturday to the Haymarket Farmers Market (8:00 a.m. to 12:00 noon). Look for the red train car – you’ll be glad you did – guaranteed! Click here to go to The Haymarket Cookie Lady’s Facebook page. 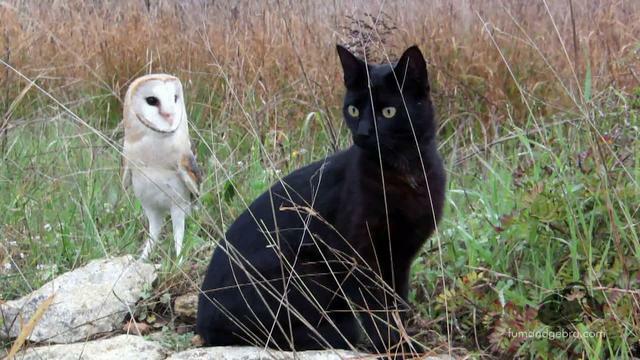 A most unusual pair to be friends. 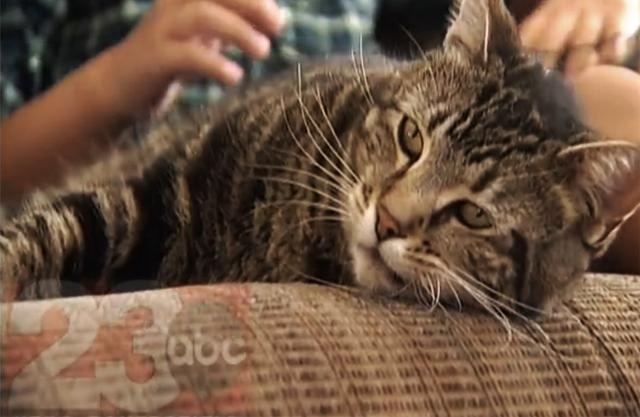 Don’t know if any of you saw the video of how this cat saves a boy from a dog attack. It was caught with the families surveillance cameras. It is amazing to see how their cat ‘Tara’ quickly comes to the rescue and keeps a bad situation from becoming much worse. Check out this funny yellow lab learning to catch. “Gracie” is only interested in the treat ,not so much learning how to catch a toy.